Arunima Sinha, The Indian Wonder Woman climbed Mt Everest 7 times! Home Inspiration Insane Souls Arunima Sinha, The Indian Wonder Woman climbed Mt Everest 7 times! The name spells inspiration, motivation and the power of feminism. 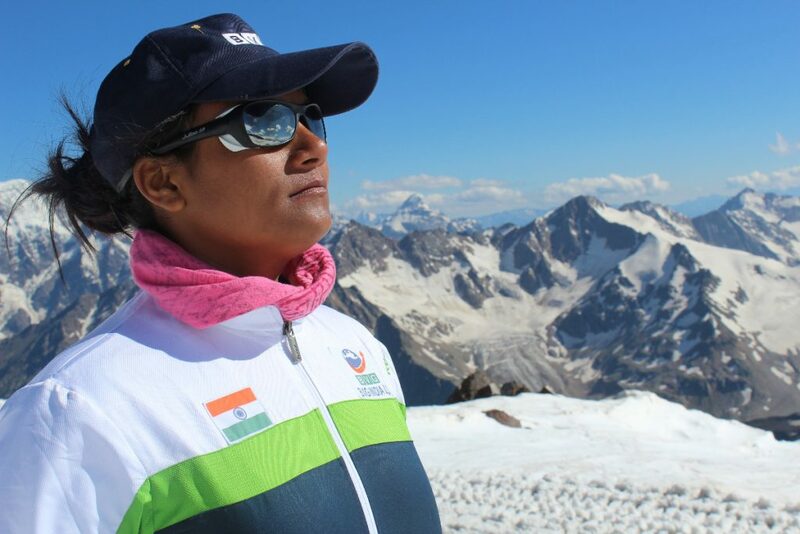 Yes, most of us may not be introduced with this character, however, when you are in a depression and whenever you feel fed-up of your life, I would suggest reading this story of Arunima Sinha. You’ll move forward to your goal and you’ll definitely throw all depressions away. So friends..please go through the journey from hospital bed to the Everest. Arunima was born in a middle-class family in 1988, at Ambedkar Nagar, Uttar Pradesh. She was a national level volleyball player and to reach that level she had to struggle a lot. She was going for a job interview at CISF in Delhi on April 12, 2011, by Padmavati Express from UP. During her journey at night time, she was robbed and robbers pushed her out from the train after snatching the gold chain and her belongings. She fell on the other side of the railway track and suddenly, another train from the opposite direction crushed her leg below the knee. Yes, friends, she is alive. Do you want to know what happened after that? She was lying between the two tracks for the whole night. Later it was discovered that 49 trains were passed that night as she was just lying there wrecked and bleeding on the tracks. The very next morning local people took her to the nearby hospital where her left leg was amputated immediately to prevent her from gangrene. Later she was taken to AIMS, Delhi. Her right leg was fixed with a rod from knee to ankle, to hold the shattered bones together. It was one of the most horrifying experience she had to live through. She didn’t stop in life, she decided to pursue her dream, the most impossible dream she could set for herself. IT WAS TO CLIMB MOUNT EVEREST! Yes, you heard it right. The most difficult peak in the world! When she met Bachindri Pal with climbing desire, Bachindri Pal was stunned and said: “You’ve already climbed the Everest, just the date needs to be registered”. Guys, the date was on March 21, 2013. Not only Everest, but she also climbed all the 7 peaks from different continents and created history. 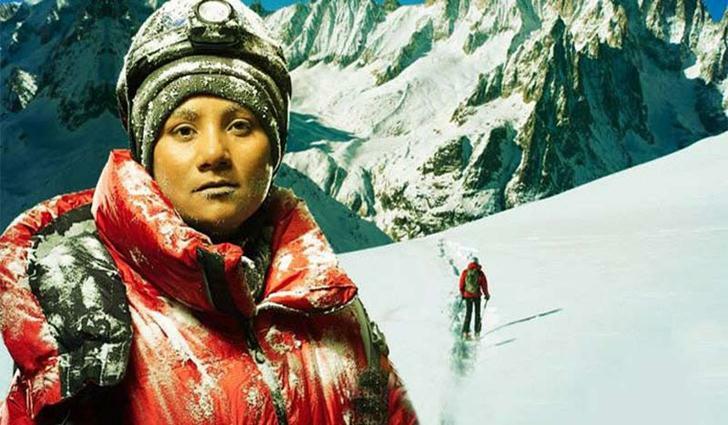 She is the first Indian amputee to climb Mount Everest moreover she is also the first female amputee to climb Mount Everest. My dear friends, the human body may get paralyzed but the human mind never gets paralyzed. Your positive thinking and aspirations can demolish all the unconditional apprehensions and always help you to grow in your life, bring glee in your eyes and move you forward to your destination. Arunima with her strong will and desire reached her dream which had many hurdles, hurdles which were impossible to cross, but she made it happen. The real flight of this hawk is impending. Still,this bird is yet to be tested for real. Though I have leaped over the seas, well,the entire sky is still remaining to fly. And make sure that I’m gonna do it with all my heart and all my soul. It’s an important lesson – Life will give you the most shocking moments, it will push you down or even present you with death, all you need to do is – Question yourself, will you fear and give up? Or fight till your last breath? The latter option will always make you win. Previous articleRead about the Unknown Aspects of Mahatma Gandhi’s Life. Dhirubhai Ambani’s Lesson on Networking.